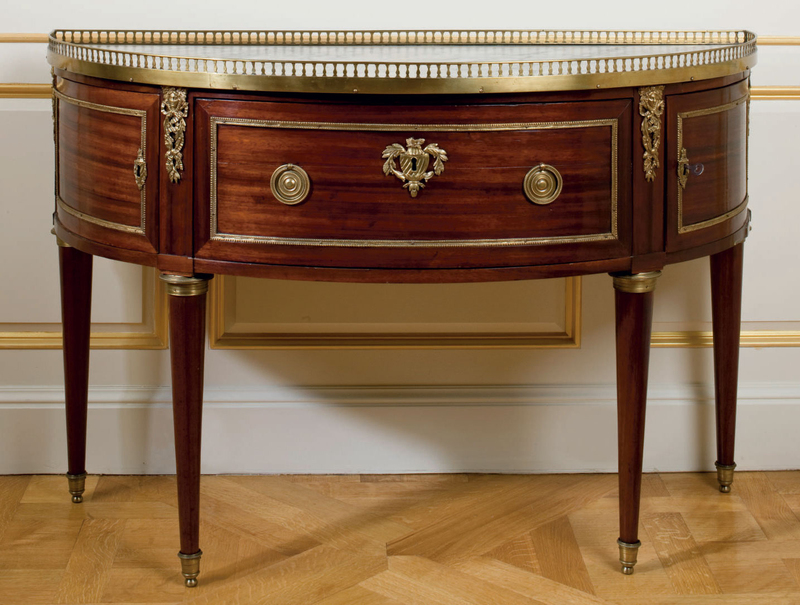 “… It’s French name, commode en console, indicates that it is, in fact, a console table designed to stand against a wall and a commode or chest of drawers. A small number of such tables are known today and they appear to have been in vogue during a short period in the middle of the 18th century. Five were sold by the fashionable marchand mercier Lazare Duvaux (ca 1703-1758) between December of 1753 and February of 1757. 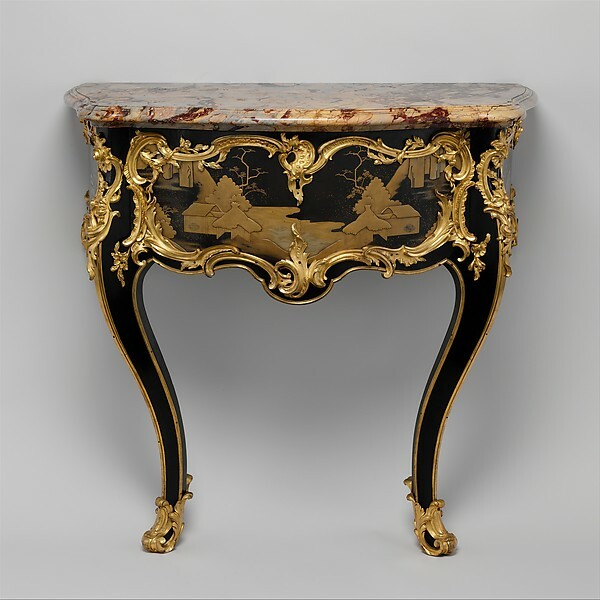 They were veneered with tulipwood with the exception of one table.” – the most expensive of all which was in lacquer, and now resides at the Metropolitan Museum of Art. 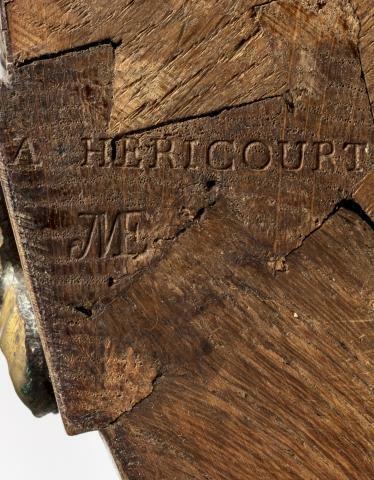 In France they had a second appellation, Console Perruquière – as in Wig Console. Ce meuble peu courant était destiné à ranger les perruques attributs indispensable aux gentilhomme de l’aristrocratie francaise du 18ème siècle- meaning: unusual piece of furniture designed to house wigs (and wig paraphernalia), indispensable attribute of the aristocratic French gentleman of the 18th century. I’m not sure if the wigs sat on stands on top of it, or if they went in the drawer. The one at the Met is quite attractive, but actually one of the very few which doesn’t have four legs. 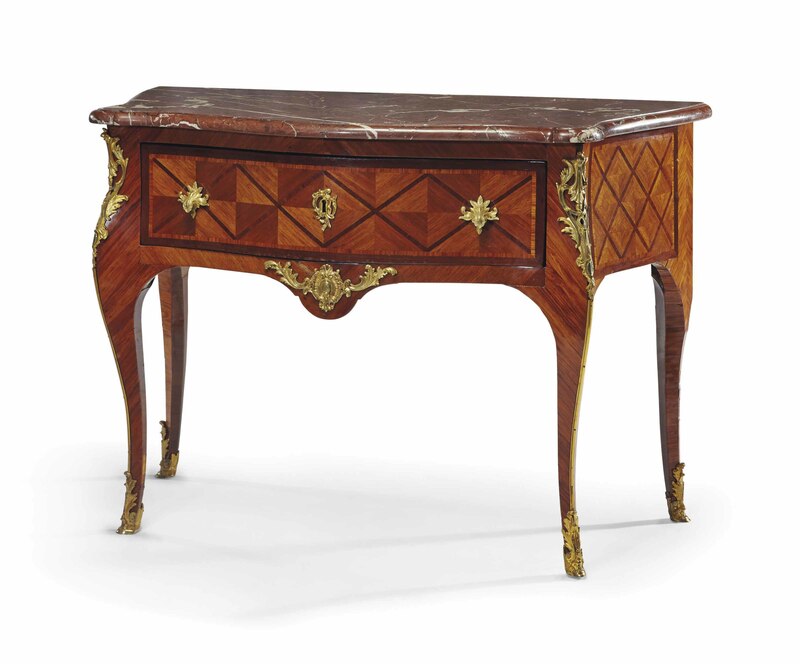 A more typical (not the best word for something so rare) example would be the table by Hubert Hansen sold by Christie’s at Le Goût Français – Arts décoratifs du XVIIe siècle au XIXe siècle in April of 2015 for €17,500. Curious stuff. Keep them coming. To find an interest, with deep and ingrained threads in culture and creativity, despite how boring that interest might appear, is a gift. The aesthetic mind is a complex one. If you haven’t read Malcolm Gladwell’s Blink, you might like it. I haven’t read that one, and will put it on my list. 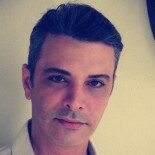 I like him as an author. In What the Dog Saw he talks about my grandfather. I can’t afford them…but I can still covet the the Schey and Dubois piece. Not that there would be any point in buying it for this house…. So…the one in the museum. Clearly attached to the wall somehow, but how? How would you attach it without it being obvious or ugly? Then there is the French Cleat, I think it’s the best hanging system there is. How is the dining room coming Pink? I do learn a lot from you. I had never heard of ebonised, so I googled it and watched a good youtube video. It’s done by fermenting steel wool in vinegar. It’s super resistant too. You can spill anything on it and it’ll be just fine – which is one of the reasons I wanted this finish. In the last house we had an English wood table which had a waxed top and that meant re-polishing once a year. This entry was posted on June 4, 2018 by The Pink Agendist in art, design and tagged antiques, art, auctions, furniture.